Offering modern rooms and free Wi-Fi, Gràcia City Hostel is set in Barcelona’s lively Gracia District, just 5 minutes’ walk from Diagonal Metro Station and Passeig de Gracia Avenue. Gràcia City Hostel has private double rooms, as well as mixed and female-only dormitory rooms, as well as 5 shared bathrooms. There are lockers in the rooms and padlocks are available at reception. All rooms are exterior-facing and some have a small balcony. Maps of the city are available from reception, and staff can provide tourist information and recommendations. Luggage storage is also possible. Different activities are arranged every day, such as walking tours, dinners, movie nights, and an exclusive art show once a month. Gaudí’s Casa Batlló and La Pedrera houses can be reached in 10 minutes’ walk. Plaza Catalunya is 20 minutes’ walk away and airport buses leave from here. Trains to the airport also stop at Passeig de Gracia Metro Station. If you expect to arrive after 00:00, please let Gràcia City Hostel know in advance. You can use the Special Requests box when booking or contact the property. A refundable deposit of € 10 is required for the electronic keys to the hostel. If the key is lost, the deposit will not be returned and an extra € 5 will be charged. Luggage storage rental costs € 2 per day. Charge does not apply for customers staying in the hostel. A laundry service is available for € 10. Please inform Gràcia City Hostel in advance of your expected arrival time. You can use the Special Requests box when booking, or contact the property directly with the contact details provided in your confirmation. With free WiFi and air conditioning, this modern and spacious room with a shared bathroom has 1 large double bed, a wardrobe or lockers, and a large French window. A hairdryer is available at reception. One bed in a modern dormitory room with air conditioning, free WiFi, and a shared bathroom. The room includes lockers (padlocks available), bed lamps and clothes hangers. All rooms have an exterior-facing window. 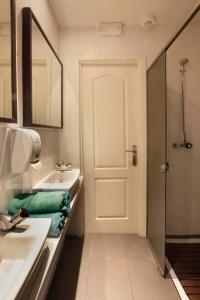 One bed in a modern dormitory room located on the first floor and with access to a shared bathroom. 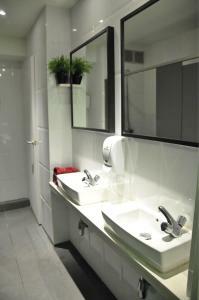 There is free WiFi, lockers (padlocks are available for sale on site), bed lamps and hangers. Rate: € 14.00 ... € 47.00; select dates below to get current rates. One bed in a modern dormitory room with air conditioning, free WiFi, and a shared bathroom. The room includes lockers (padlocks available), bed lamps and clothes hangers. All rooms have an exterior-facing window. Please note that breakfast included rates are not available for this room. With free WiFi, this air-conditioned room has 2 large French windows and offers 1 large double bed, a small balcony and a shared bathroom. Bed linen and towels are provided. There is a closet in the room and padlocks are available for sale at reception. This air-conditioned room offers 4 single beds and a shared bathroom with bath or shower. The room has large windows. Each bed is equiped with bed linen, lamp, a shelf and set of coat hooks. There are lockers in the rooms and padlocks are available for sale at reception. One bed in a bright dormitory room with air conditioning, free WiFi, and a shared bathroom. The room includes lockers (padlocks available), bed lamps and clothes hangers. All rooms have an exterior-facing window. This bed in a female dormitory has free high-speed WiFi, a large window and large pull-out, drawer-style lockers under the bed. Each bed comes with a lamp, a shelf, bed linen and a set of coat hooks. 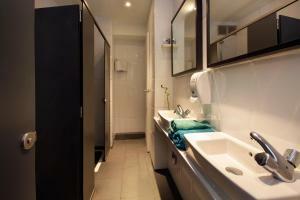 One bed in a bright and modern dormitory room with free WiFi and access to the shared bathrooms. The room comes with lockers (padlocks available for sale), bed lamps, hangers and big window overlooking the street.